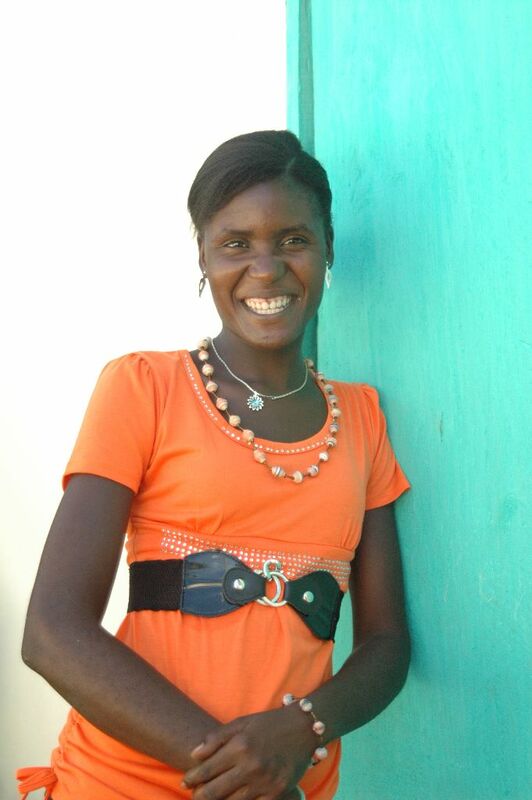 Angeline joined The Haitian Bead Project cooperative in Savanette in 2011. She became a leader right away. She quickly learned how to cut the recycled cardboard for perfectly-shaped beads and roll the cardboard onto the skewer. After a few meetings, she was teaching others the art of making recycled beads. She is a fast worker, but her jewelry is made with the utmost quality. Angeline shares that one of her dreams is to finish her college education in accounting. After a few months of saving money she made from making jewelry, she was able to return to school. Now she splits her time between schoolwork and creating jewelry for the project. This past summer Angeline mastered a new product – the key chain bracelet. This unique key chain is attached to a stretchy bracelet enabling people who need to access a few special keys throughout their day to wear the key chain on their wrist or arm. Angeline has one daughter. She loves being a mother. She is also an active member of her church, the Evangelical Church of Savanette. She sings in the choir.